Delta and WestJet are showing some huge price drops from Toronto to Anaheim, California and Reno, Nevada on a large number of dates in the 2018 calendar. 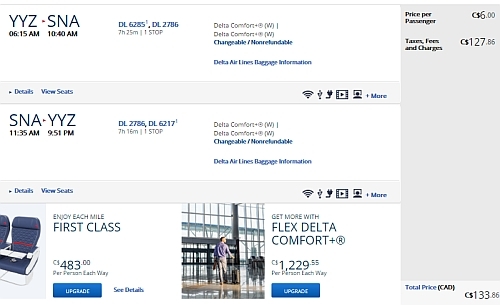 There are also some unusually cheap prices from Toronto to New Orleans, Louisiana. They are 1 stop flights through Minneapolis, Detroit, or New York City. Update @ 2:40 PM EST - It looks like this may be over. The prices are still showing up, but no longer seem to be verifying on any booking sites. It's possible they were a mistake, so please don't book anything non-refundable for the next 24-48 hours (hotels, etc), to make sure the airline has issued the tickets. 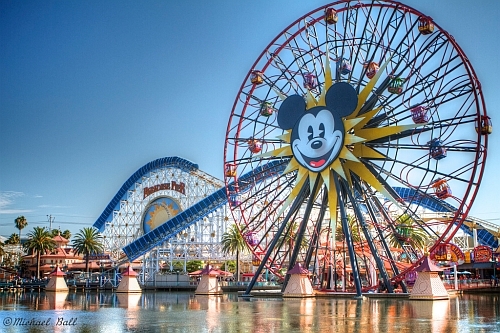 8 Responses to "Toronto to Anaheim, California or Reno, Nevada - $134 / $172 CAD roundtrip including taxes | throughout 2018"
booked on flight network. still waiting on airline ticket. Jason, i can confirm I received two e-tickets for louisiana in february through flight network so I'm all booked for mardi gras. tickets were 171x2. but when I checked again it was 3 times the price. guess I got lucky. thanks CHRIS! We booked two tickets from Toronto to Santa Ana for February, and four tickets Toronto to Santa Ana for July for $136CAD per person, round-trip, including taxes.